Have you found the Pashley Countryman Blue Cheaper? It is an ideal companion for your daily commute, with wide ratio Shimano Alfine 8 speed gears to tackle even the toughest of hills and full length stainless steel mudguards to keep you dry and clean no matter what the weather. For weekend jaunts into the great outdoors, the combination of narrow, lightweight Mavic alloy rims and flat, swept handlebars with a slight curve has been specifically designed to give an efficient and comfortable ride quality at whatever pace suits you best. The Countryman is even suited to long distance touring, adorned coming with a classic Brooks B17 leather saddle that naturally shapes to your form, high performance dual pivot brakes and braze-ons for a rear luggage rack. Traditional Brooks B17 leather saddle: This is Brooks' flagship model - a 100 year old design ideal for sports touring. 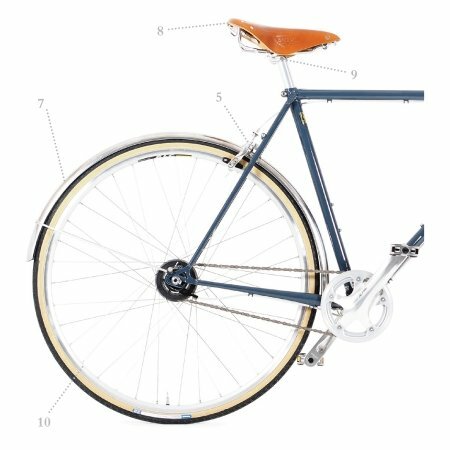 The leather allows the saddle to breathe and form to your shape over time becoming uniquely comfortable. With handy rear luggage loops. 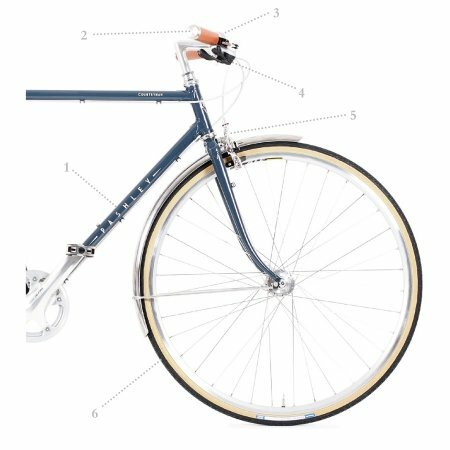 Frame Sizes 20", 21.5", 23" and 24.5"
What do you think of Pashley Countryman Blue?